KLIA2 is Malaysia’s newest airport to date, built to be the country’s Next Generation Hub – Internationa; Airport Hub – that enables connectivity for both local and international low-cost and full-service carriers. With the ability to accommodate an estimated 45 million passengers in a year, KLIA2 was meant to replace the Low Cost Carrier Terminal (LCCT) by having a bigger capacity and better facilities. 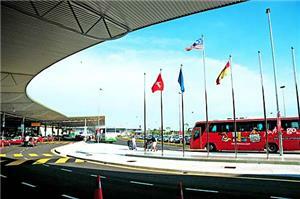 Since it started operations, KLIA2 currently has over 225 retail outlets and 6,000 parking spaces in order to provide endless conveniences to visitors on the journey to their travels. Apart from that, the KLIA2 is also the final stop for the Express Rail Link (ERL) that connects to other transportation hubs like KLIA, Putrajaya/Cyberjaya, Bandar Tasik Selatan and many more. Take a Taxi or Airport Limo. Prince ranges from RM33 to RM300, depending on the distance. KLIA Express Train via ERL. This is one of the fastest way to KLIA and KLIA2 because it goes straight from KL Sentral without any stops. The price is approximately RM35. KLIA Transit Train via ERL. This is also a fast way to KLIA and KLIA2 because there are only a few stops from KL Sentral. The price ranges from RM2 to RM35, depending on the station. KTM Komuter Train and bus transit. For this option, you will have to exit at the Nilai Komuter Station and take the feeder bus to KLIA2. The price is RM4.70 (from KL Sentral) and RM1.50 for the bus. 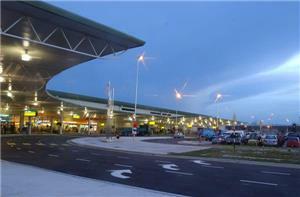 For more information about Bus to KLIA2, check out details from us today!